The “Octa Bladez” is one of the most popular designs for necklaces and pendants, designed by Brian Drescher, a Dutch 3D designer with American roots. This Octa Bladez is 3D printed in gold plated brass. The Octa Bladez pendant has an amazing eye-catching symmetry that is beautiful from all angles. It makes the perfect necklace pendant, for both men and women. The “Octa Bladez” is one of the 5 objects used in Atomixz Jewelry and is one of the most popular designs for necklaces and pendants. 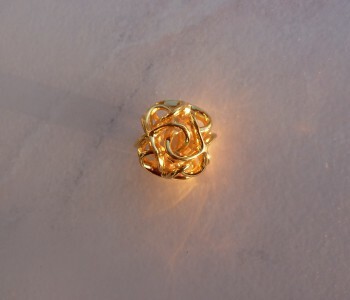 This design is 3D printed in gold plated brass. The Octa Bladez pendant has an amazing eye-catching symmetry that is beautiful from all angles. 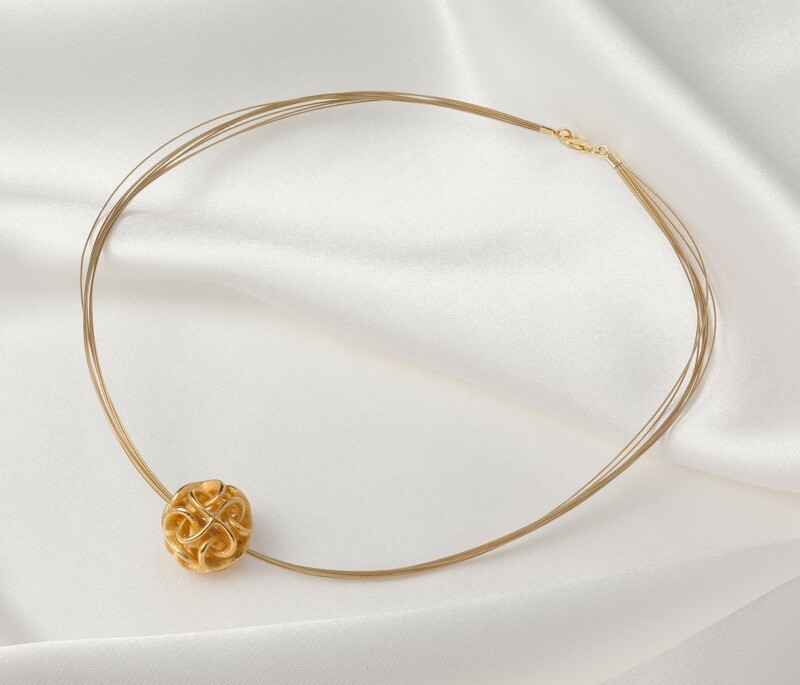 It makes the perfect necklace pendant, for both men and women. Brian Drescher lives in the Netherlands since 1985 but was born in Milwaukee, USA. He studied medical and scientific illustration, design and animation at the University of Oshkosh in Wisconsin. After graduating at the top of my class as an illustrator he worked as Illustrator at Conrad Schmidt Studios and animation studio An imagination. There he learned that possibilities of 3D computer graphics far exceeded the capabilities of film, and thus he began my next big graphics adventure. At the end of 1985 met his future wife on a journey in Europe, which became the reason to move to The Netherlands. In Amsterdam Brain participated in the development of the first 3D computer graphics system ever to be created in The Netherlands. There he made the first 3D images ever shown on Dutch television (for MTV) and later he designed the first animation interface for the modelling software, the template for other 3D systems around the world. He initiated 3D departments at photo studio and film lab “Four Color” and design firm “RoVorm”. With the emergence of practical 3D printing services for commercial use, he decided to use his expertise to create unique sculptures and objects that could be created by no other means than by 3D printing. As a result, Brain started Atomixz 3D printed jewellery in 2014 and produced jewellery for the Van Gogh, Teylers and Cobra museum as well as many jewellery stores throughout the Netherlands and Belgium.